Thank you for enrolling in our Bewitched Branding course! Are you ready to get started? The course kicks off SOON, but you can get busy now. Let's begin by taking a look inside + around ourselves to pinpoint your strengths + your opportunities for growth. One great way to expand your mind, body and spirit is to increase your knowledge and your brain power. You can do this in several ways. My favorite way is by reading! Add your email address to receive our Bewitched Branding Application, the 2017 Summer Reading List, and access to the private Facebook group! You will receive an email very soon. Please let me know if you don't within 24 hours. 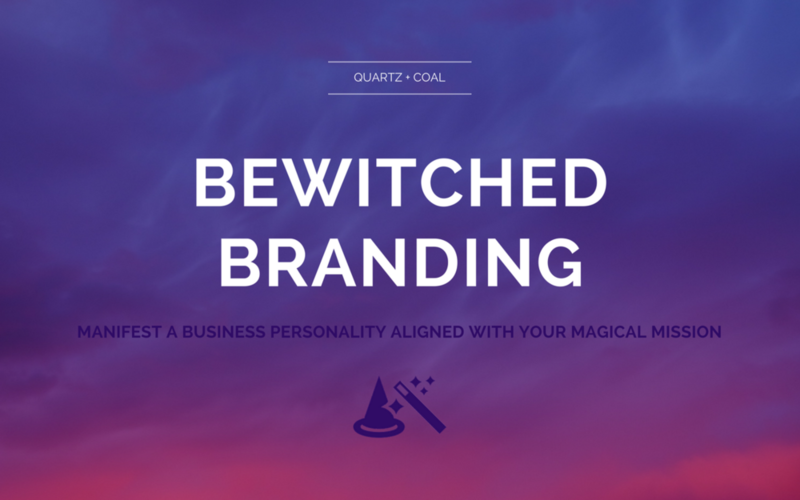 The Bewitched Branding Application is my first look into your business and your magical mission! This will help me make sure the course covers every question you have about your brand! It will also prepare me for our first 1-on-1 coaching call, which we can schedule shortly after I receive your thoroughly completed application. The 2017 Summer Reading List is comprised of 6 of my favorite books for personal + professional development. In order to fine-tune your branding, you need to begin answering some hard hitting questions about your core values, your wants, your needs, and your dreams for the future. Each of these books focus on a different aspect of your business and your personal growth allowing you to excel in several areas of your life. Our private Facebook group is the mothership for our Live Q + A workshops each week. This is also your community to meet new creative cohorts to share ideas + inspiration, discuss the course and what you're learning, ask questions, share feedback or request it for new designs and ideas you want to test, and to follow along with the lessons each week to help you be more actionable! This is a great way to stay accountable. It helps me see where I need to offer more information to help clarify any topics we will be discussing so I can make sure you get your answer! I want you to succeed. We all want each other to succeed! This group is for GOOD VIBES ONLY. We follow one rule...keep your CHOPS clean!! Our community is built on these principles. We want to foster positive growth, independence, and confidence! This is not the place to criticize, degrade, judge or torment people. If you bully anyone, you will be removed from the group. Constructive critiques are very helpful, but please keep your emotions in check. No one is trying to offend you. Offer any and all advice solely with the good intentions! Now, let's begin our MAGICAL journey through Bewitched Branding together!